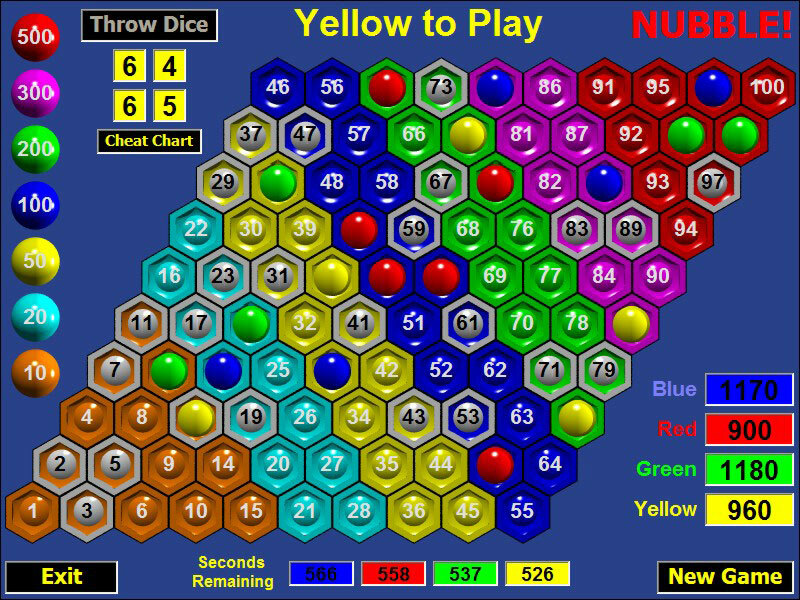 Players take turns to throw four dice and, using the numbers thrown, generate a whole number between 1 and 100. For example: (6 + 4) x (3 + 1) = 40. The player clicks the number on the Nubble! board and scores points depending on which number they have chosen. The highest numbers score the most points. Players score bonus points by making a Nubble! move. This is when the chosen number creates a triangle of three adjacent counters on the board. Double bonus points are scored by making a Nubble! move on a prime number � this is a double Nubble! move. 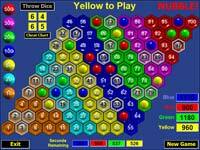 The game ends when there is a continuous path of counters from hexagon 1 to hexagon 100. The winner is the player with the highest score.